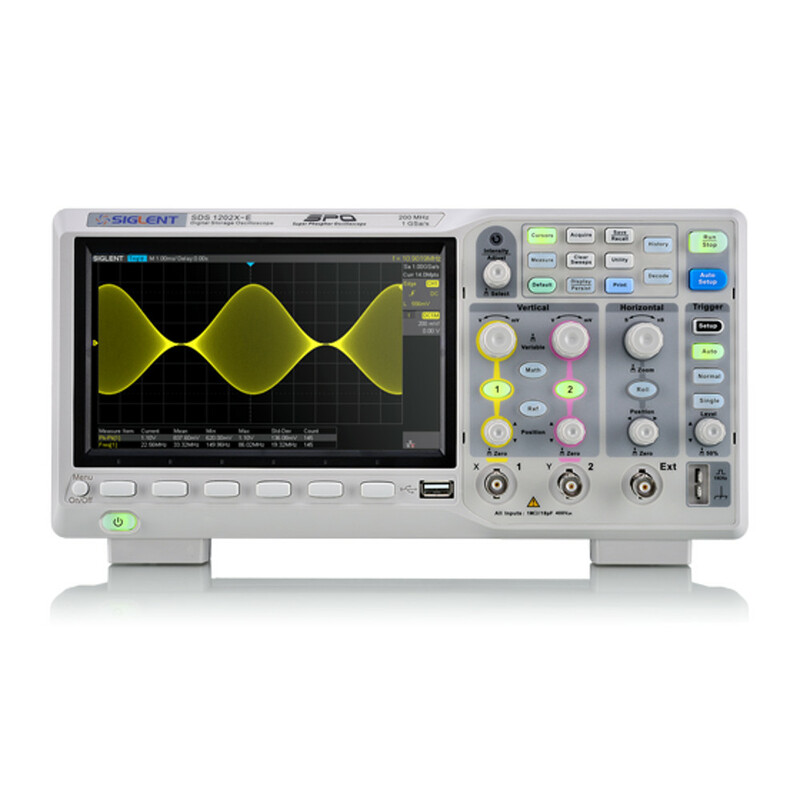 SIGLENT’s SDS1202x-E has a maximum sample rate of 1 GSa/s and a standard record length of 14 Mpts. For ease-of-use, the most commonly used functions can be accessed with its user-friendly front panel design. 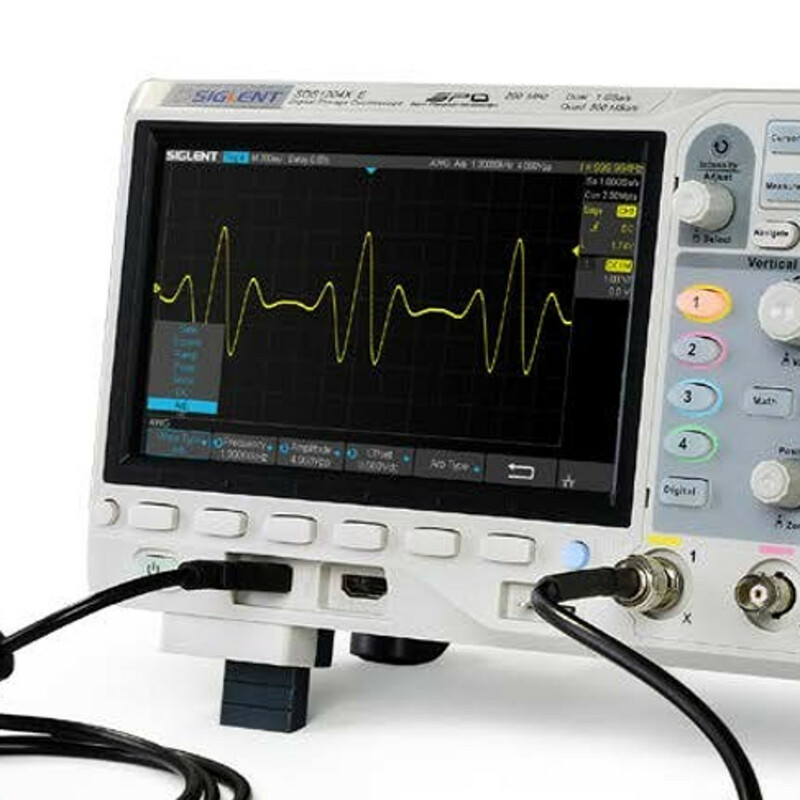 The SDS1202X-E series is a new generation of SPO (Super Phosphor Oscilloscope) technology that provides excellent signal fidelity and performance. This generation of SPO technology allows the SDS1202X-E to have a waveform capture rate of up to 100,00 wfm/s and 400,000 wfm/s in sequence mode. It also supports 56-level intensity grading and color display modes and has a recording length of up to 14 Mpts. The system noise is also lower than similar products in the industry. It comes with a minimum vertical input range of 500 uV/div, an innovative digital trigger system with high sensitivity and low jitter, and a waveform capture rate of 400,000 frames/ sec (sequence mode). The SDS1202X-E also employs a 256-level intensity grading display function and a color temperature display mode not found in other models in this class. 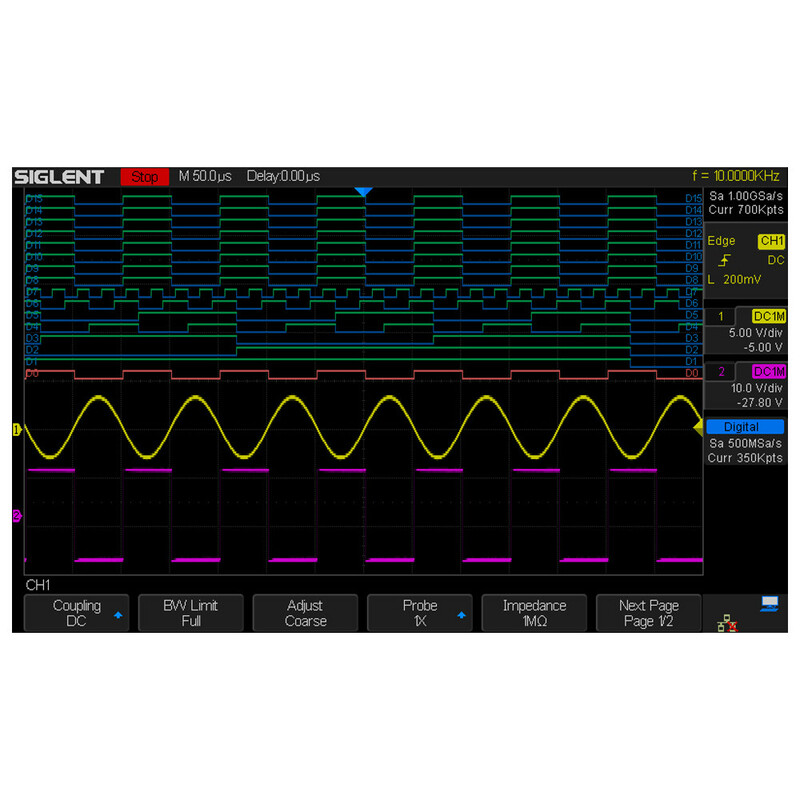 Siglent’s latest oscilloscopes offering supports multiple powerful triggering modes including serial bus triggering. Decoding is standard configuration including IIC,SPI,UART,CAN,LIN. History waveform recording and sequential triggering enable extended waveform recording and analysis. Another powerful addition is the new 1 million points FFT math function that gives the SDS1202X-E very high frequency resolution when observing signal spectra. The new design also includes a hardware co-processor that delivers measurements quickly and accurately. 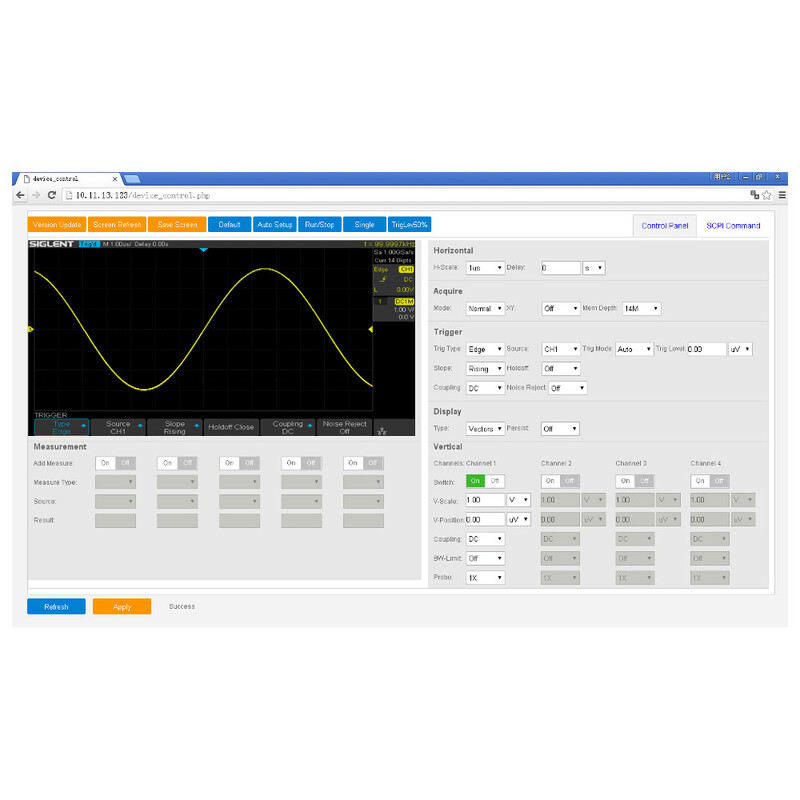 The features and performance of Siglent’s new SDS1202X-E cannot be matched any other oscilloscope in this price class.